Arguably one of the greatest lawmen to ever ride across the plains--and the silver screen--Clint Eastwood is a name that every person knows. He is one of the greatest actors of the past 50 years and has shown us what it means to be a man, both through his characters and his life. 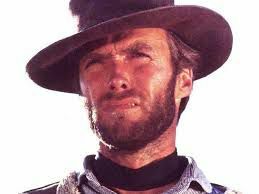 Born May 31, 1930, Eastwood was nicknamed "Samson" when he was born by the hospital nurses. As an 11 pound 6 ounce baby, the nickname would definitely fit the icon he would become. During his early life, he was asked to join school plays but was quick to turn them down. During school, he worked a number of odd jobs like a lifeguard, paper carrier, grocery clerk, forest firefighter, and believe it or not, a golf caddy. These taught him many essential life skills, the main one of course being hard work, which would help him in his next adventure. Most of his childhood involved moving. Luckily, it was mostly along the coast of California as his dad work many different jobs. They were finally able to settle down in Piedmont, California where Clint rode his bike on the school’s sports field and tore up the wet turf. This turned into the staff asking him not to enroll. Instead, he attended Oakland Technical High school. It was here that teachers constantly asked him to be in school plays. As mentioned above, he just wasn’t interested. Little did he know that this would become a common theme in his life. In 1951, Eastwood was drafted by the United States Army and assigned to Fort Ord in California where he was appointed as a lifeguard and swimming instructor. Rumor was he avoided going to war because he was romancing one of the daughters of a Fort Ord officer. This led to someone watching out for him when names came up for posting. And contrary to this story, Eastwood always felt the urge to go out and serve his country, but the love of someone else kept him safe. Being in the armed services, working as a firefighter, and being in good physical shape allowed him to be ready for any physical endeavor life threw at him. It seems this was one of his best attributes. Like many of his peers during this time, being outdoors was your only option. You had to work hard and sitting in front of screens was never an option. But because Eastwood worked hard when he was younger, it only helped him be more successful when he was an adult. One weekend while in Seattle, Eastwood was a passenger on a Douglas AD bomber that ran out of fuel while in the air. The plane spiraled towards the earth and crashed into the ocean near Point Reyes. Eastwood escaped from the sinking aircraft and then proceeded to swim, along with the pilot, 3 miles to safety. Obviously, due to the previous positions of Eastwood’s life, he was saved because he was a hard worker. Sometimes, this can literally make the difference between life and death. Clint Eastwood was born into a hard working family that prepared him for a future of twists, turns, turmoil, and inevitably, success. As one of the biggest names in Western Films (and the film industry in general) Eastwood created a life for himself by essentially being a businessman. He created opportunities for himself once he got his foot in the door and continued to branch out of his comfort zone. It’s easy to take life and business lessons away from Mr. Eastwood; he created a media empire for himself! He was a producer, an actor, and a director, he had his own recording studio and recording label. His hard work produced so much success for him, it’s hard not to try to emulate this man’s personality and follow in his footsteps. Early in his life, Clint Eastwood was a brilliant example of this. It may have been the time when kids always worked at a younger age, but this didn’t change the fact that Eastwood worked hard to earn a living. Throughout various jobs, Eastwood acquired different trades that would help him in that next position, like when he was a lifeguard for the military. Eastwood knew that hard work got you places, not relying solely on the help of those around you or just being lazy. Chances are, you won’t be required to do the amount of physical labor that Eastwood did, but the same ideals apply. Working hard--and smart--is what helps you become successful. It’s easier for your employees and coworkers to respect you when they know you know what it’s like to work long hours into the night to make sure all the work gets done. A true leader has been on both sides of the coin and respects and appreciates the work his employees do for him. If you’ve ever had a tough project or something that has required many hours of work, there is a sense of accomplishment that comes when you are finished with the job; and there is nothing more rewarding than seeing positive fruits of your labors. Eastwood was in the spotlight of criticism from day one. As an actor, everyone thought he was crazy to step outside of his traditional role, as a producer, people said his ideas were definitely unorthodox. Even when he started getting into music, there were critics who said it was a bad idea. But even amidst those who were naysayers, Eastwood had those who supported him. At the end of the day, you can’t let those criticisms get to you. 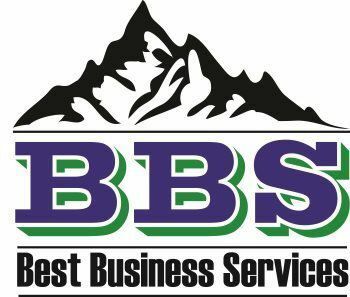 In the business world, bad ideas can lead very severe repercussions such as the closing of a business or the loss of a job. But it’s important to focus on the positive aspects of those who attack you. First, stay calm and don’t retaliate. Second, put those feelings into your work. You can work harder and more efficiently if you avoid the confrontation of attacking those who have wronged you. Last, if somebody is denouncing you and your work, chances are, you’re doing something right. One great thing we can learn from Clint Eastwood is the ability to change into something less comfortable. Whether it be a new position at your job, pursuing a new career, or implementing a new marketing strategy into your business model, change can bring forth new opportunities. By stepping outside of your comfort zone, you can have a greater effect on your earning potentials. But even forget about money for a second. Altering what you’ve known your whole life could open up new doors to a more successful career. Maybe you have hit a road block or you just aren’t happy where you are. It could be because you’ve known one thing your entire life and it is just…comfortable! That’s the point of this trait! It at least warrants a discussion with yourself to see what makes you happy or what can help you have a more successful life. In a sense, this goes in hand with our previous topic. Clint Eastwood decided it was time to change the way he was perceived on the silver screen. Maybe he didn’t know the type of success it would bring, but he knew that trying something new almost made his job easier. Imagine you have a website that features your product and sales have plateaued. What do you do to make sure sales don’t dip? Create something new, implement a new product in your line, or partner up with another company. Trying something new also means taking bigger risks and one of the rules of business is the bigger the risk, sometimes, the greater the reward. Changes bring both success and mishaps. One thing that can create opportunity for you instead of stress is learn to adapt to these changes. There is nothing more dangerous than being content and having change dumped on you without your knowing. To avoid the anxiety that change brings, remember that there will always be other opportunities for you. Or, maybe you need to change the way you approach a situation. There is a reason that many animals have survived this long—adaptation can turn a sticky situation into something profitable. Maybe Mr. Eastwood knew he couldn’t act forever, or maybe he just knew what he wanted to do once he became an actor, but one thing is certain, he made sure he explored all realms of what became his livelihood. He liked music, so he produced music for his films. He knew he had a story to tell, so he became a producer and director. Remember the best way to be successful is to know your talents and use them to your advantage. All work and no play makes Jack a dull boy. Eastwood has his love outside his work, which helped in his success. You can’t work all the time. If you do, you will develop burn out. Your work will either taper off or suffer to the point where you lose your job or money. As a writer, don’t just write for work, work on a blog, write a book. If you spend all day in front of a computer, do something outside or work with your hands. The point is, you need to make sure you explore your hobbies; otherwise your life will be spent working and not doing things you love. Even if you love your work, always explore new talents and abilities. This will enrich your life!